Overshadowing his soul with His grace. On the twenty-eighth the image of Basil was hidden under the earth. Saint Basil lived during the reign of Emperor Leo III the Isaurian (717-741). At a young age he became a monastic, and occupied himself with extreme asceticism. He bravely resisted the iconoclasts on behalf of the honor and veneration of holy icons. 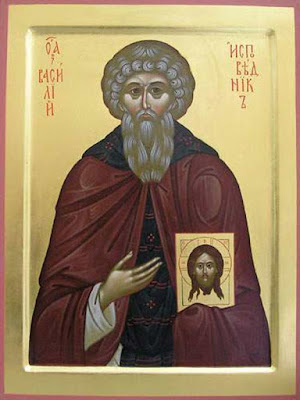 For this he was arrested and punished, proclaiming the truth of Orthodoxy. 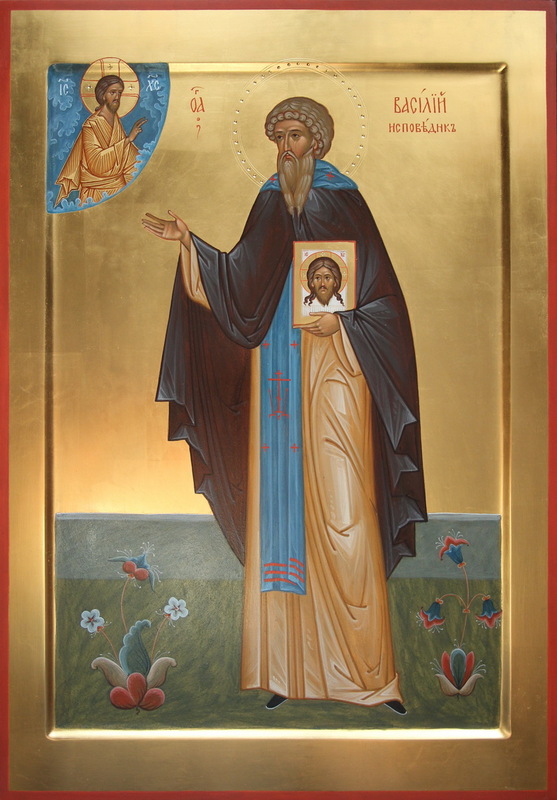 As a co-sufferer he had Saint Prokopios the Decapolite, who is celebrated on February 27th. After having his body and neck lacerated and flayed, he was cast into prison. * As mentioned in the Life of Saint Prokopios the Decapolite, there are two versions of the Life of Saint Basil the Confessor. The other version says that he suffered during the reign of Emperor Leo V the Armenian (813-820). 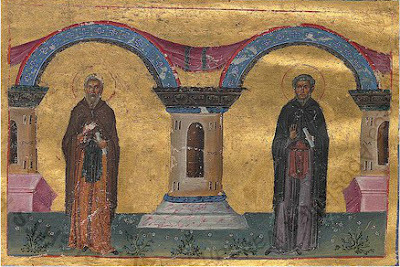 It was to this Basil that Saint Theodore the Studite wrote a reprimand because he had made certain concessions to the heretics, imposing a penance (Epistle 95) on him and asking him to retire from being the abbot of his monastery. Afterward, however, Saint Theodore praises Saints Basil and Prokopios for their brave stance under persecution. It is believed however that there may have been two pairs of Confessors named Basil and Prokopios, one pair living during the reign of Leo III and other during the reign of Leo V. The information we have about this is insufficient to determine precisely. Thou wast a royal gift to Christ's Church, O Basil, and in thine ascetic life thou didst make thy life more luminous, and wast found worthy of glory in heaven. Thou didst receive revelation from heaven, and go forth from the world's turmoil. Thou didst live a righteous life as a monk, and wast given grace to work miracles and to heal diseases, O wise, blessed and holy Basil.